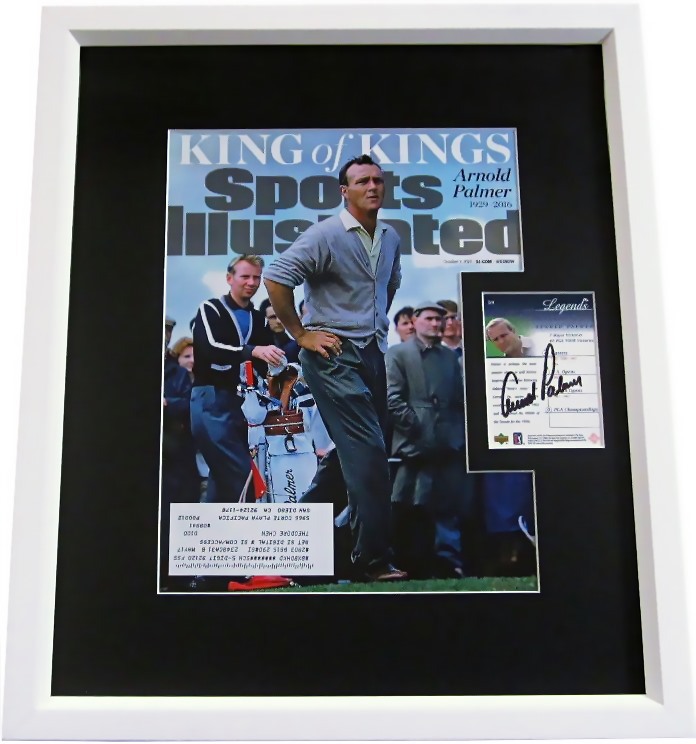 2001 Upper Deck Golf Legends card autographed in black marker (on the back) by the late, great Hall of Famer Arnold Palmer, professionally matted in black with the Sports Illustrated 2015 tribute cover and framed with glass in white wood, ready to hang. Framed size is about 13 1/2 by 16 inches. 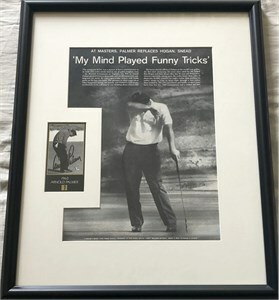 Obtained in person at the Bob Hope Chrysler Classic golf tournament many years ago, with certificate of authenticity from AutographsForSale.com. ONLY ONE AVAILABLE FOR SALE.